NEWS UPDATE: SDUSD Supt. Cindy Marten FLIP FLOP – Keeps Existing Principal Intact Through Lincoln High Transition! 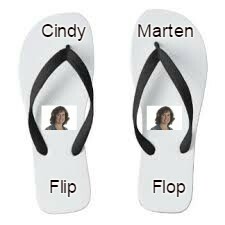 Marten Management Flip Flop Confusion = The Shoe Fits!!! Apparently San Diego Unified School District Supt. Cindy DOES read District Deeds! Yesterday we posted “San Diego Unified Supt. Cindy Marten Principal Selection Scam Backfires – Forced to Rescind Offer to Handpicked Lincoln High Principal Candidate!‘ where we dissected the ridiculous Cindy Marten management strategy to force Lincoln High to navigate a 5 Principal Gauntlet (Ross, Principal Trio, New Principal) at the beginning of the 2016/17 school year . The post had HUNDREDS of views…apparently one of them was SDUSD Supt. Cindy Marten. Today Mr. John Ross – the Principal that disgraced former Trustee Marne Foster and accomplice Supt. Cindy Marten assigned after improperly removing Dr. Esther Omogbehin – has been REASSIGNED to Lincoln High until a new Principal can be found. As we outlined in our post yesterday, the Students, Teachers and Staff were going to go through a transition from Ross to the Principal Trio and then from the Principal Trio to the new Principal. This Flip Flop by Marten eliminates the extra transition and allows a much better hand off from Principal Ross to his successor. 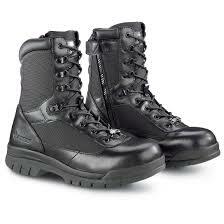 And keep reading District Deeds for tips! Such a picture of incompetence and inexperience. By now, Marten has had enough time to be experienced but competence has more to do with good judgement. Of the 16 new appointees, 7 are going from classroom teachers to principal. Unheard of before Marten arrived, as experience was an important qualifier. Also a good number were chosen from outside San Diego Unified. An insult to the highly qualified employees in SDUSD with administrative degrees. I agree with District Deeds, we need a new Superintendent. We also need a new board. Our new Superintendent and board of must abide by the district’s code of ethics and place students, families, and communities first. Not the teachers union and the financial needs of its administrators.